The new and most unique user-friendly screen prop on the market. This all new Screen prop has brought a new dimension to temporary screening. Some of the unique features of this prop are: Unique spring-loaded pedal for ease of tightening. Quick-release foot button for ease of dismantling. Mid-way release button to set the prop to the relevant height prior to tightening. 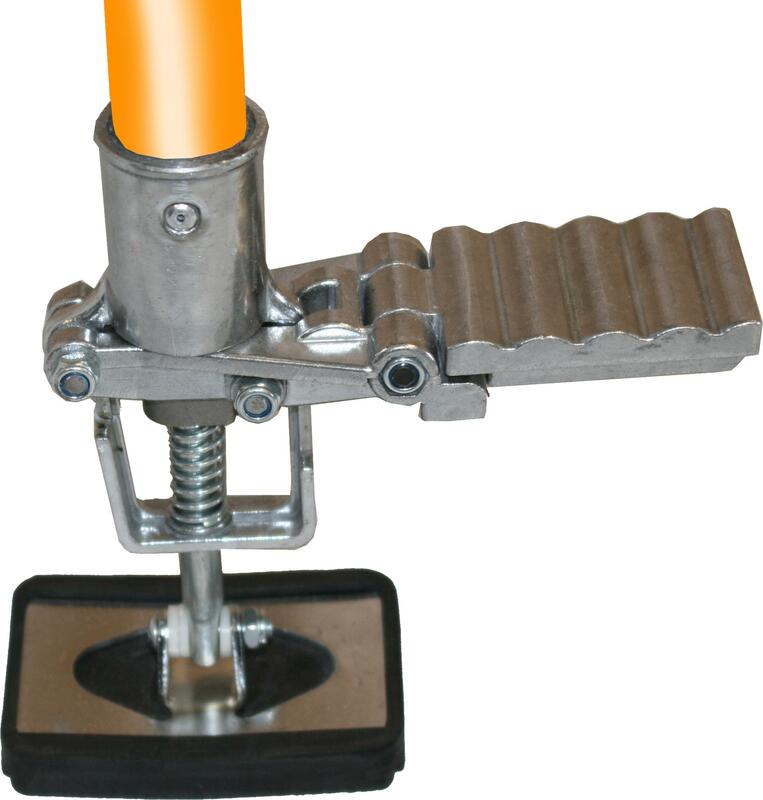 Fully adjustable Rubber grips on both ends to ensure a tight clamp. Tiltable head and foot to accommodate sloping ceilings/floors. Available in 3 different sizes for screens up to 5m. Use in conjunction with our screening and door zips. View The Range Here. Posted in News, Temporary Screening. Tagged Dustban, Screen Props, Screening.